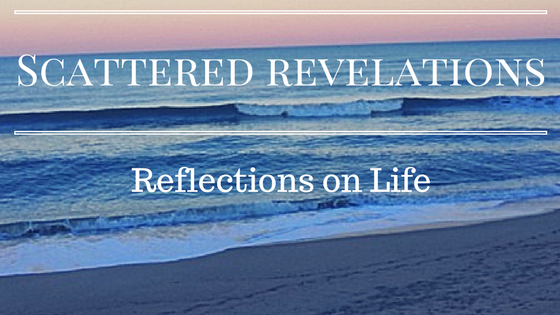 I preached this sermon for the Unitarian Universalist Congregation of the Outer Banks on January 26, 2014. My two texts were the story "The Woodcarver" from The Way of Chuang Tzu and the first four minutes or so of the TEDx Talk "Hackschooling Makes Me Happy" by Logan LaPlante. So I have spent a great deal of my life reflecting on vocation. In college and beyond I began a life-long wrestling with the question “What is my vocation; what is it I am called to do?” Now given that I have spent the majority of my career working for congregations or other faith based organizations, that I have attended three different seminaries (that is a story for another day) this probably doesn’t come as a surprise to you. After all isn’t vocation limited to those who are called into ministry? When most people hear the word vocation or calling, they associate it with a religious vocation or calling – so being called into ministry and they associate it with a career. This is fed by the language of our congregations. We speak of calling a minister (not hiring a minister). Ministers say “I was called to the work” or “this congregation called me.” So the language of our faith communities also underscores this notion of vocation being limited to those with a specific call to working in the world of religion and faith. Parker Palmer, Quaker, activist, educator, and author also wants to expand our notion of vocation. For Palmer vocation is not limited to a religious calling and is really about discovering one’s authentic self, and living an authentic life. My favorite Parker Palmer book is Let Your Life Speak: Listening for the Voice of Vocation and in this book Palmer explores what he has learned about vocation. At the heart of vocation is not what job or career one pursues, it is not an external voice, it is not limited to religion; the heart of vocation is living life, the whole life as one’s authentic self. So while it may be that the values and one’s own identity will draw a person to one career rather than another, that is only one part of vocation, it is really about living authentically in all areas of one’s life. Which means that if vocation is about living one’s authentic self, which must listened for and discovered, than there is no one moment alone that we say “this is my vocation” – this thing I do, this career, this job. It is always evolving. We are always being called and that means that what might be true for us at one stage of our life will not be true at another. It is really about being and not as much about doing. The hardest things I have wrestled with in terms of vocation have often been limited to what type of job or career I should pursue and the feeling that I had to get it right. Or maybe as Logan pointed out I was answering question of What Do I Want to Be with What Do I want to Do. All too often what we are is answered by what we do. As I was reflecting on this sermon and what I wanted to say, I finally realized that vocation is not about the job or career, although that is part of it, rather vocation is the way I bring my authentic self to all of my life – so that means how I interact in all areas – in my marriage, as a parent, as a friend, community member – all of me. So when I think about what is my vocation, I realize that if I had to sum it up in just one word it would be teacher. It is about a state of being – not what I am doing. Whatever it is I am doing at any particular moment is really about being a teacher – seeking to understand, to create understanding. This may make clear my affection for Parker Palmer for he too is a teacher, an educator. Whether he is writing, speaking, or in fact teaching, he is a teacher. Not always standing in front of the classroom as teacher but rather his particular gift is to teach. What keeps unfolding is the ways he is called to live that gift in the world. In my work as minister, I am a teacher. I have told both the Board and the Program Committee this already. I am an educator so one of my first inquiries to both groups has been if they would be willing to do some learning together. I am grateful that both are open to this idea. Not completely surprising in our Unitarian Universalist context since as a group we highly value learning and education. I am guessing that if I asked the room, there would be a number of teachers here – even if they have never taught in a classroom. As a preacher, I am always trying to teach although not just facts or figures, not just heady learning but hopefully embodied learning. Learning that touches the heart as well as the head; learning that leaves the listener thinking and feeling. As a parent, my strongest and best moments are when I am teaching my daughter – cooking, baking, making my great-grandmother’s fudge which she passed directly on to me, sharing a book, going to a museum or historical site as a family where we learn together. In my life, I bring the gift of teaching and learning to all the aspects of my life – work, marriage, parenting, friendship, and community. Recently it was finally made clear to me that one could still be true to one’s vocation, one’s authentic life regardless of one’s career through two articles that crossed my computer. The first article was a piece written by a woman who finally had to set aside her dream of getting a PhD in literature and becoming a faculty member at a college or university. In the article she had delayed her studies to pursue other things including marriage and a family and then she dived in and applied to a PhD program, got accepted along with a generous scholarship. It seemed her delayed dream, her delayed vocation was finally manifesting. Yet she turned it down; not without sorrow or loss but in listening to all of her life she realized that this particular dream was not meant to be. As our Woodcarver said, without the tree there would have been no bell stand – in this case the tree she needed was not found. Hopefully she will find a way for this dream to manifest in new and unexpected ways. Yet in the end she gave up the job of her dreams in order to pursue the life she had created. The other article was a critique of the “do what you love” philosophy. The critique was that it denigrates work. The whole notion of doing what you love means that work never feels like work. The point of the article hit home for me. As an educated person from an economically privileged background, I have had the luxury of choosing work that I love, in fact I was raised with the expectation that I would have work that I love and that would support me. I have options because of my education, my skill, my networks and connections. To say that everyone should do what they love is to denigrate those who don’t have the kinds of options that I have. When we say that low-wage service jobs are for high school and college students working their way to a better job; we deny the reality that many of those working in those jobs are not in their teens or young adult years, they rely on that job to make a living, to make life and to raise a family. For most I would guess it is far from their dreams, far from what they love and in fact given the low status of these jobs in our culture, they are constantly reminded just how under and unvalued their work is. Of course, it could also be that some of those who are working in these jobs are also leaning into their ‘call’ but I acknowledge for myself and I sure for others … that we sometimes have a hard imagining jobs that we would not particularly being something that one enjoys. Vocation is not about one’s job, vocation is listening to one’s true, authentic self, it is about listening beyond the “you should be this” or “this is what this type of person is or does” or everyone in our family has done X and you will carry it on. Vocation should not be limited to those with education or privilege – every person should be able to live an authentic life. That means one can pursue a job that is not what they love, what they dream to do and still live their vocation. If each of us can learn to bring our authentic selves to whatever we do, then we are living our vocation – we are letting our lives speak. Vocation is what the young Logan LaPlante is speaking of. It is about living in a way that creates health and happiness. None of the eight things that are said to create happiness involve having work that one loves – yet they all involve connecting with oneself, with others and the world. Yet how do we learn to listen to our lives and let them speak? For me it has involved lots of reading, time in silence, prayer, meditation. It has also involved failure and hearing no. In Palmer’s book one of the chapter’s is called “When the Way Closes.” In this chapter Palmer recounts the story of going to talk to an older Quaker woman about his concern that he had still not found his right career vocation. There is a Quaker expression that says “a way will open” and Palmer was hearing over and over again that “a way will open” yet nothing seemed to be happening. I can deeply relate to this particular story – there is nothing like job hunting to make one impatient to have a way open! The woman said to him, “I am a birthright Friend and in sixty-plus years of living, way has never opened in front of me. But a lot of way has closed behind me, and that’s had the same guiding effect.” Ah yes the way closing gives valuable and painful lessons. Over the course of my life, not just recently, the way has often been revealed by what closed. Letting your life speak, listening for the voice of your life, is not always easy and it is not pain-free. So what about communities? Do communities have a vocation? I would say yes. In communities there are many different people, with different vocations, different needs and yet vocation is found in purpose, in mission. Even within similar communities – like the 1,100 plus Unitarian Universalist congregations in our Association each will have a unique vocation – a unique voice to offer both within their own geographic communities and within our association. Each will bring their own gifts and strengths. Each will learn through ways closing. There will be struggle. There will be joy. Yet each one’s journey is unique and each one will live out the message of Unitarian Universalism in a unique way. Each one’s vocation will evolve and change over its history. Whether for an individual or a community, the work of letting your life speak, the work of vocation is, at its heart, about bringing the uniqueness of you, of the group, to the world. Another way to say it comes from Frederick Buechner “The place God calls you to is the place where your deep gladness and the world’s deep hunger meet.” It is, in the words of Logan LaPlante, about discovering what it takes for you to live a happy, healthy life!